NORTHRIDGE, CA--Harman International Industries announced that Blake Augsburger, president & chief executive officer of the Harman Pro Group, is expanding his responsibilities on January 1, 2008 when he assumes the newly created position of country manager - Harman USA. In his new assignment, Augsburger will report directly to Harman International chief executive officer Dinesh Paliwal. As Country Manager of Harman USA, Augsburger will be responsible for the management of support functions that cross divisional and business lines. He will serve as the country champion for functional best practices and will directly participate in such business activities as project risk review, large supply contracts or investment proposals, significant operational changes or restructurings, organizational and legal issues, and key human resource decisions. Furthermore, he will serve as the chief spokesperson for Harman in the United States to build brand equity. He will also serve as liaison to the chief executive officer for implementation of group directives. "I look forward to my new responsibilities," Augsburger said today. "This new position represents the first step in the evolution of Harman's organizational structure which will include the appointment of a Country Manager in a few strategic countries. We believe this approach will help to leverage synergies across multiple Harman businesses while improving consistency among business processes in the company's major markets." 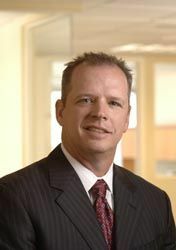 Blake Augsburger first joined Harman International Industries, Incorporated in July 2001, when he was appointed president of Crown International, a Harman company based in Elkhart, Indiana. He served as president of Crown until June 2006 when he was promoted to the position of president & chief executive officer of the Harman Pro Group. Prior to joining Crown, Augsburger was Vice President and General Manager for two high voltage test and measurement equipment manufacturers owned and operated by Hubbell Incorporated: Hipotronics of Brewster, New York and Haefely Test AG of Basel, Switzerland. His seven-year tenure with Hubbell also included Vice President positions in engineering, operations, and worldwide sales and marketing. Blake Augsburger was awarded Bachelor and Master of Science degrees in Electrical Engineering from Texas Tech University in Lubbock, Texas.